When you are caring for someone with Alzheimer’s disease or dementia, you are always searching for a glimmer of hope and a new treatment option that might help the person that you love. It’s reassuring to know that there are many medical researchers and professional experts who are devoting their careers and their lives to finding out more about these debilitating conditions, and are working on groundbreaking research that may ultimately lead to a cure. A recent study published in the journal “Translational Psychiatry” identifies the gene Rgs2 and notes that expression levels of this gene may indicate that a person is more susceptible to Alzheimer’s disease or dementia. The study’s findings indicate that the levels of this particular gene could show that an individual is more sensitive to the plaque deposits that can be found in the brain, some of which have toxic effects. Previously, the Rgs2 gene was never thought to have a connection to Alzheimer’s disease. However, researchers who completed the study are hopeful that the newfound connection may open the doors for possible early detection blood screening. 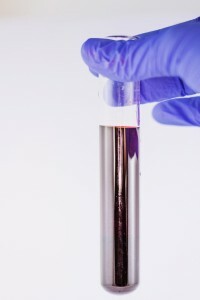 The blood screening test may be able to identify levels of Rgs2 and provide patients with further information about their susceptibility to Alzheimer’s disease. The researchers are now focused on developing the diagnostics necessary in order to offer these blood screening tests to patients. Japanese researchers have discovered what appears to be a link between the insulin molecular signaling in the brain as well as in the pancreas. The study noted that a drug used to treat Alzheimer’s disease affects the same brain channel — Kir6.2 — that is also involved in insulin regulation within the pancreas. Blockages of this same channel in the pancreas can increase the signaling of insulin and lead to lower blood sugar levels. When the channel is blocked in the brain, the same type of insulin signaling is increased and patients often see an increase in their ability to create and form memories. Researchers are hoping that their findings can be used to develop new treatment options for Alzheimer’s, specifically those that target the Kir6.2 potassium channel in the brain. Medical researchers and scientists have long known that there are brain membranes that cover the outer portion of the organ, but it was largely believed that these membranes had little impact on the functioning of the brain itself. 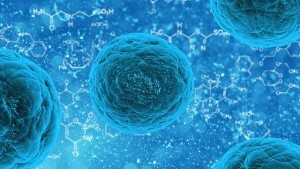 However, new research has discovered that these brain membranes actually house stem cells. The fact that these stem cells are located on the outer layer of the brain opens the door to possible stem cell research that could treat Alzheimer’s disease. This has long been considered an ideal option for Alzheimer’s disease, but it was not attainable given the lack of knowledge about stem cells in the brain membranes. This latest information offers promising news to caregivers and loved ones who are always looking for updates into the latest medical research about Alzheimer’s disease and dementia. In addition to exploring all options and being aware of the latest groundbreaking research, it’s important that you partner with a memory care facility that will provide your loved one with the individual care and attention that they both need and deserve. To find out more information about the care programs that we have available and to learn more about our facility, contact us today. Let us tell you more about Primrose today! We provide a safe, secure environment - both through our Day Club and in a residential setting - that is designed and staffed for the special needs of those with memory loss. Fill out the form below to either request information or to schedule a tour. We look forward to hearing from you! If you need immediate assistance, please call us in Santa Rosa at (707) 578.8360.